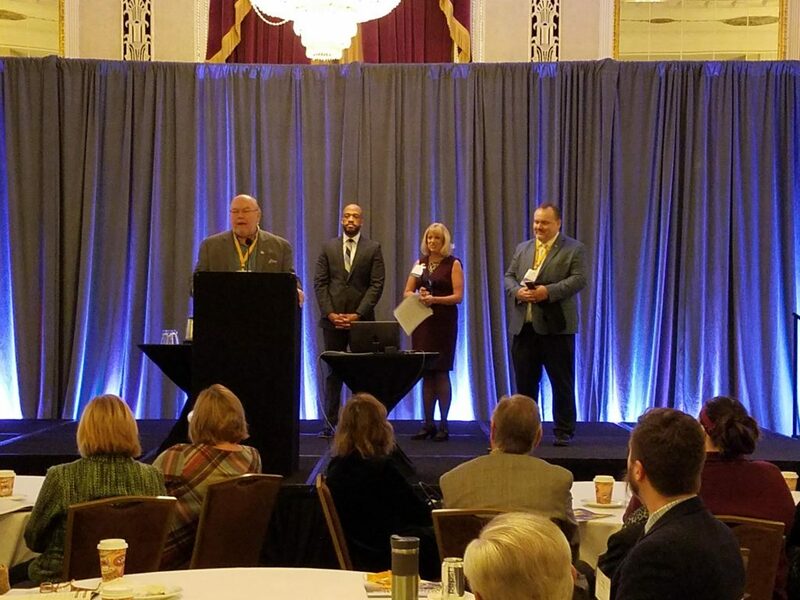 The Wisconsin Economic Development Association (WEDA) recognized City of West Allis Development Director John Stibal as the 2019 Frederick C. Pearce Award winner at the organization’s Governor’s Conference on Economic Development, held Feb. 6-8 in Milwaukee. The prominent award, given every other year, was established in 1985 to recognize individuals who have made significant contributions to the field of economic development. Stibal has successfully led the West Allis Department of Development for nearly 30 years, utilizing his skills as a collaborator, negotiator, and community promoter to retain and attract key businesses, secure new projects, and redevelop blighted properties. Over the last five years alone, he has attracted more than $214 million in private investment on behalf West Allis. During his career, Stibal has also been at the forefront of deploying new market tax credits to redevelopment projects that improve distressed neighborhoods and create job opportunities. While Stibal has an extensive list of career accomplishments, he remains committed to advancing economic development in Wisconsin.